Effie India celebrated winners of its 16th annual Awards competition on December 16 at Taj Lands End in Mumbai. One Grand, 15 Gold, 36 Silver, and 49 Bronze Effies were awarded during the Gala, which was attended by more than 1,000 industry professionals. The Grand Effie went to The Leo Group India and Bajaj Auto for their campaign “A bike that got people to experience national pride – The Nation's Bike.” MullenLowe Lintas Group was named Effie India Agency of the Year for the second consecutive year, having earned one Gold, 12 Silver and 10 Bronze trophies. Hindustan Unilever was named Effie India Client of the Year for the fourth consecutive year. 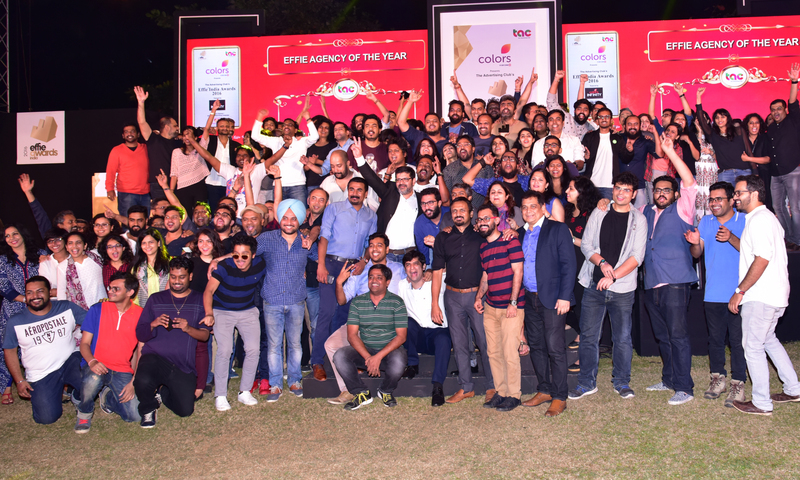 The 16th edition of the Effie Awards India competition was judged by 275 industry leaders from across Mumbai, Delhi, and Bangalore. Effie India continued to grow and witnessed a 21% increase in entries this year.